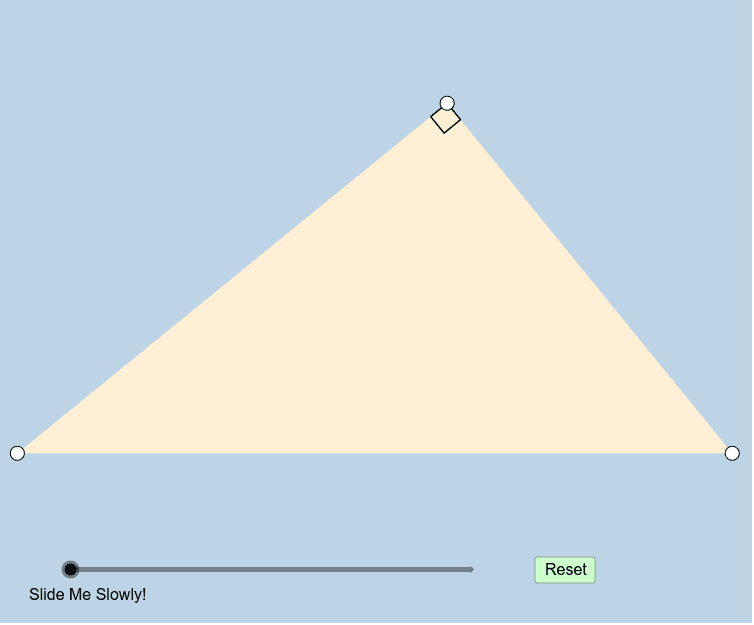 Creation of this applet was inspired by a tweet from Antonio Gutierrez (GoGeometry.) . Feel free to move the white vertices of the right triangle anywhere you'd like. How can we formally prove what this applet informally illustrates?